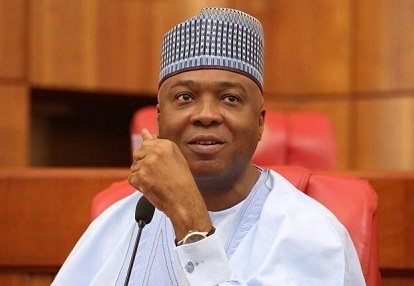 In a bid to quash speculation surrounding absent from series of meetings called by leaders of the ruling All Progressives Congress, President of the Senate, Bukola Saraki, has said it was not intended at dumping the party, thereby stating why he was not at the meetings. He said Nigerians knew that when the Senate President joined the APC, he did not sneak in. “Therefore, no one should attach any mischievous or inaccurate interpretation to his absence at the two meetings held at times when his whereabouts were a matter of public record,” he added. Saraki’s aide further said, “Sponsors of misinformation as to why Saraki was not present at the caucus and NEC meetings should be clear that there is no special reason behind the absence. The Senate President is not a coward. When he left the Peoples Democratic Party in 2014, he was bold enough to inform the then President (David Mark) of his decision and left openly with his supporters. He therefore has no reason to be sneaking or hiding now.